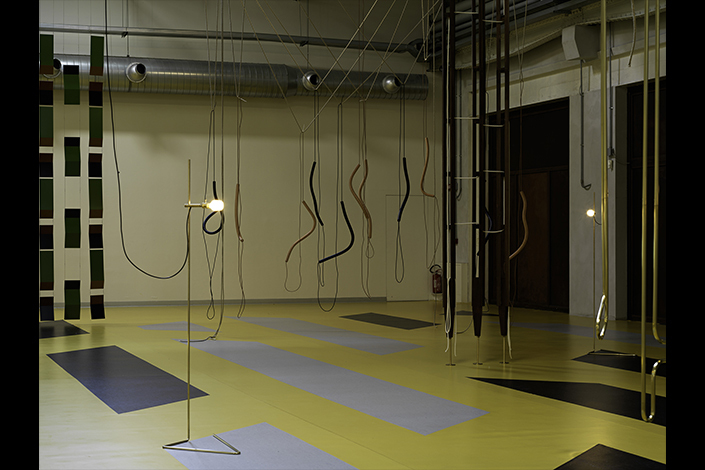 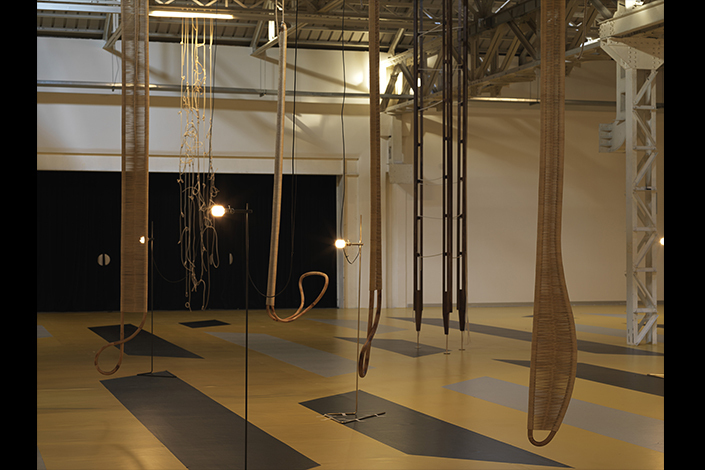 Through her sculptures Leonor Antunes (Lisbon, 1972) reinterprets the history of art, design, and architecture of the twentieth century, and in particular the Modernist tradition, in its most radical and experimental instances. 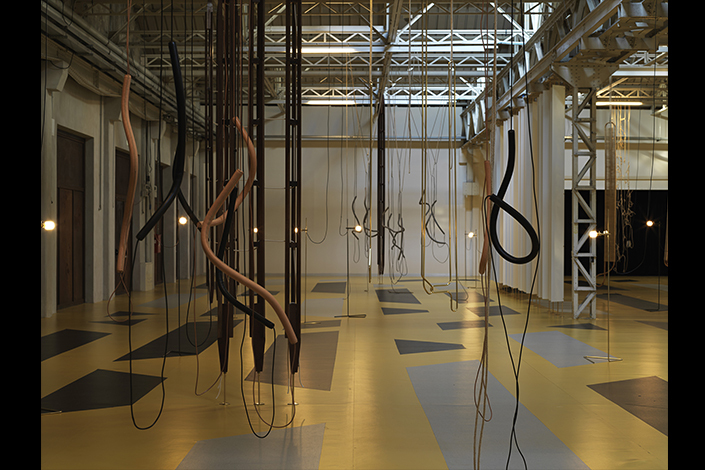 Thanks to a meticulous research into several projects and works, Antunes, after selecting specific details and fragments, transforms them into new forms and elegant artworks. 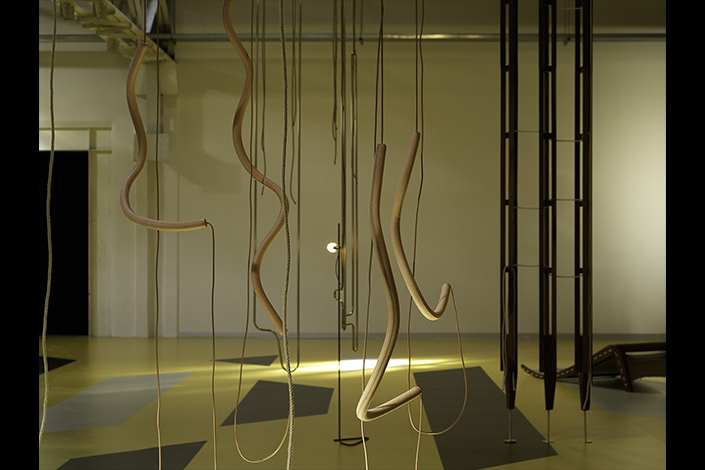 For her sculptures Antunes prefers to use natural and organic materials on which the traces of time passing remain visible—rope, wood, leather, brass, rubber, and cork, among others—employing artisanal and vernacular techniques in clear opposition to mass production, in an ongoing attempt to preserve and hand down knowledge and traditional skills. 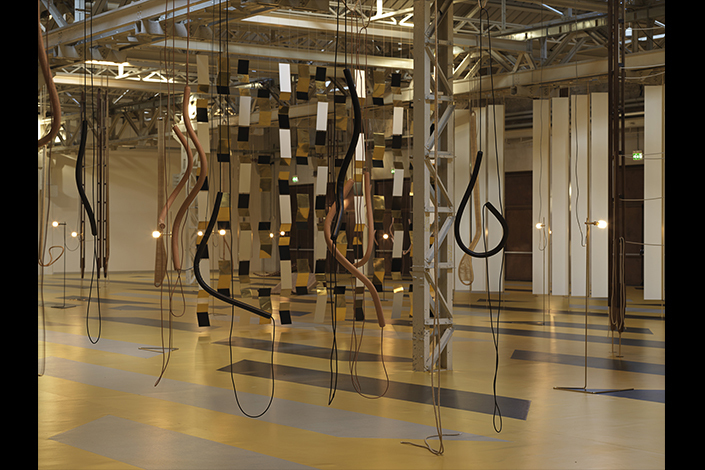 “the last days in Galliate” is the first major exhibition in Italy of the work of Leonor Antunes, conceived as a complex site-specific installation that fills the 1,400 square meters of the space known as the Shed in Pirelli HangarBicocca: the works, many of which are new productions, converse with the context structural elements and natural lighting, thus merging in a single narrative. 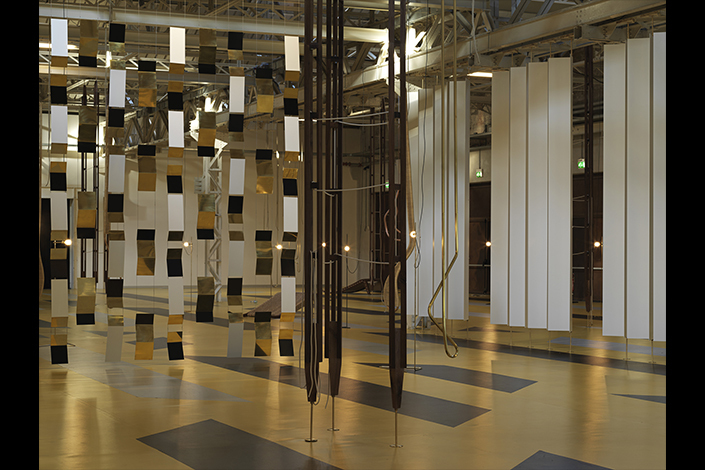 Milan and its rich Modernist tradition, in particular the work of architects Franca Helg (1920-1989) and Franco Albini (1905-1977), are the source of great inspiration for this artist, who weaves these tales with the cultural heritage of companies as Pirelli and Olivetti and the projects realized with the manufacturing house Vittorio Bonacina—today known as Bonacina1889—active in the production of furniture and other items made with rattan and rattan-core. 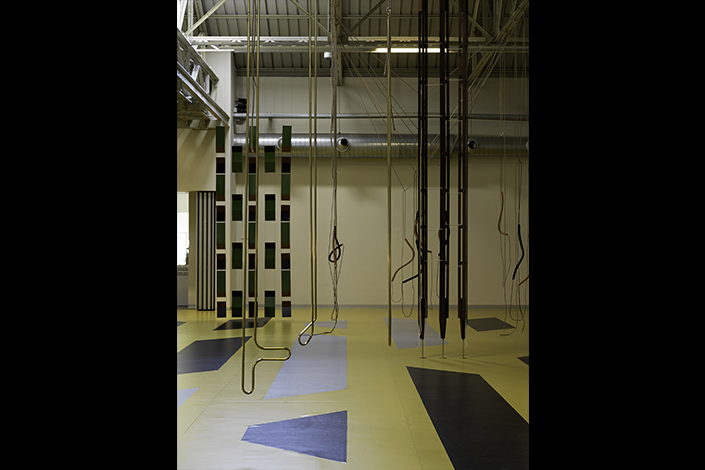 The Shed is transformed by an intervention that covers the floor with a linoleum intarsia, inspired by a design by artist Anni Albers (1899-1994), whose colours hark back to the iconic floor designed by the architect and designer Gio Ponti (1891-1979), realized in 1960 for the Pirelli skyscraper in Milan. 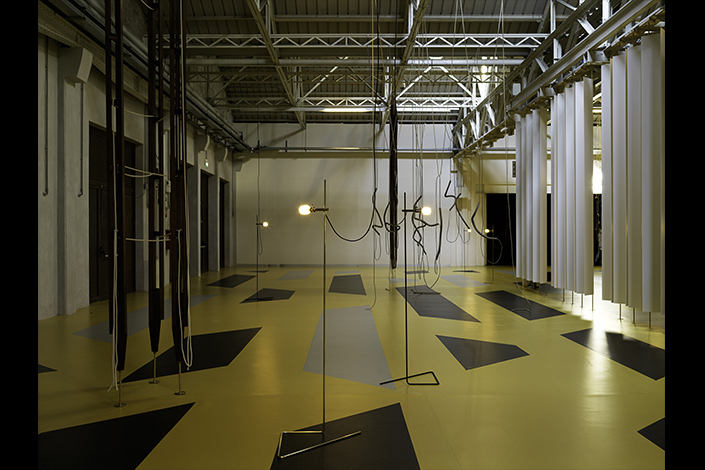 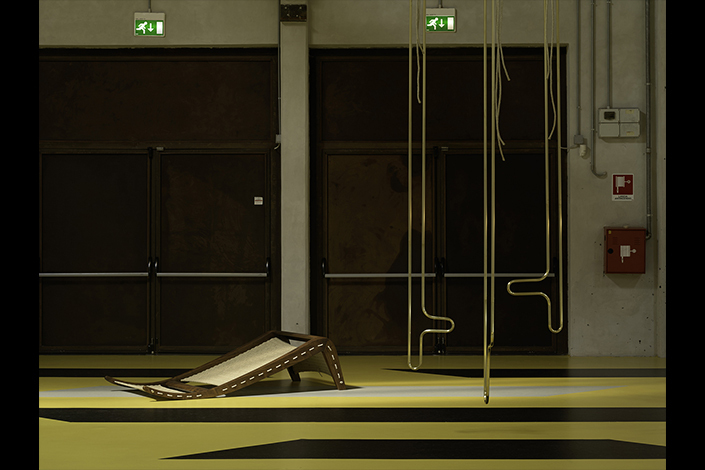 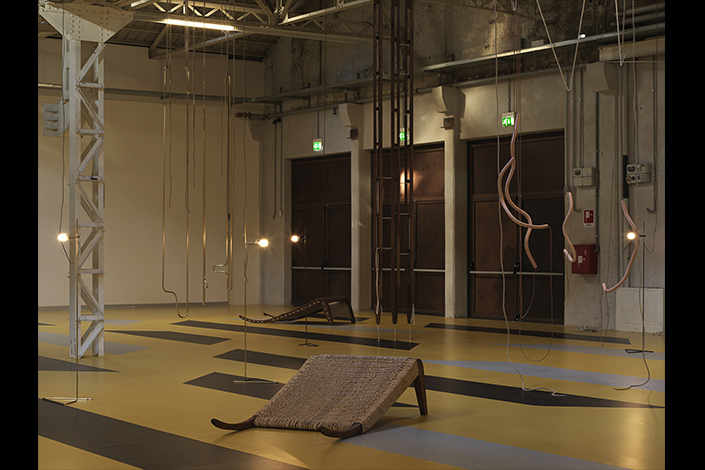 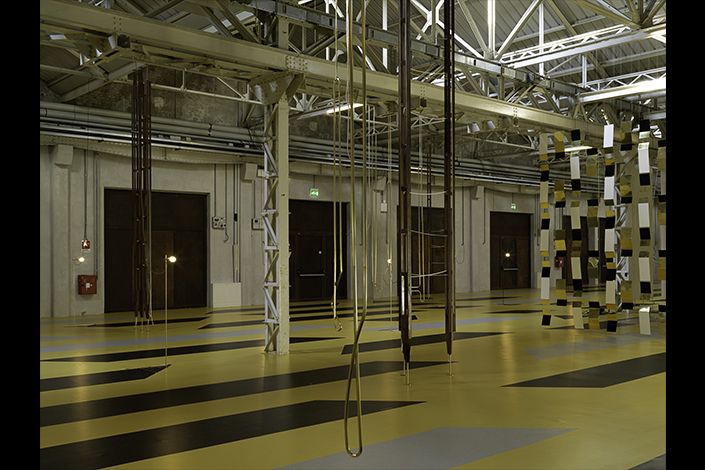 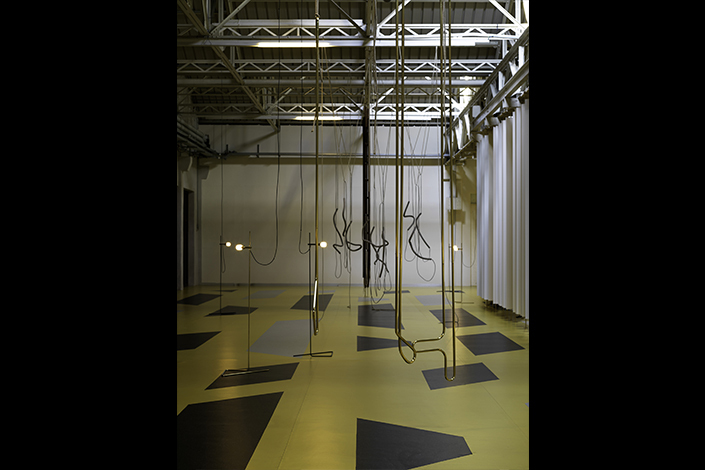 By inquiring into the meaning of everyday life objects and the social role of art and design as means of emancipation and improvement of quality of life, Leonor Antunes creates within the Pirelli HangarBicocca exhibition space a complex and stratified visual tale that leads the visitor through an unedited choreography.